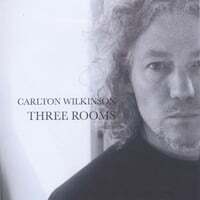 Saturday morning, Nov. 14, I got the news that my newly completed CD, Three Rooms, is officially available for sale on CD Baby. You can order copies of the CD in a jewel case or download the mp3s individually or as an album. In the next few weeks, CD Baby will make the digital version available on iTunes and several other sites as well. The songs on Three Rooms were all written over the course of a few months last year, and I spent a lot of time since then arranging and recording. I've gotten some very positive feedback about the production and the arrangements, as well as the songs themselves. A storm swept through New Jersey on Friday 13th--a good omen for the end of a long creative project. Violinist Joel Dewitt and pianist/composer Julia Muench present a concert of chamber music Saturday, Nov. 7 at the Unitarian Church, 1475 West Front St., Lincroft. The program will include Mozart, Brahms, Poulenc, Albeniz and Rachmaninoff. Tickets are $20, $15 for students and seniors. Checks payable to the church will be accepted at the door. Call 732-747-0707 for more information. Jimi Hendrix's performance of the National Anthem was and is one of the more significant and more scandalous arrangements. But it was by no means the first, or the last. Like the flag, the National Anthem is thought of as a kind of sacred relic. Attempts to try to spruce it up, or draw it into an artist's personal style, have been met with hysterical outcry. The words for "The Star Spangled Banner" have been around since the War of 1812. Francis Scott Key wrote them in 1814, inspired by the huge American flag flying in the morning over Baltimore’s Fort McHenry, a sign that the fort had not fallen to the British during the night of battle. The poem, including two additional verses that nobody sings, was later set to a pre-existing tune by English composer John Stafford Smith, a song he had titled "Death and Victory (The Anacreontic Song)". That song was a popular tavern ballad honoring the fall of Admiral Nelson in battle. "The Star Spangled Banner" was a hit and remained popular for decades. At the first World Series of Baseball, in 1917, it was used to honor the soldiers in World War I, boosting its popularity. On March 3, 1931 Congress made it the official national anthem. In 1944, the Boston Symphony Orchestra did NOT perform an arrangement by Igor Stravinsky that featured some light touches of the composer's modern harmonies. Legend has it that he was arrested for the performance, but this is apparently not true. There was a law on the books in Massachusetts that prohibited reharmonizations of the National Anthem and for that reason, he was advised not to have it performed. 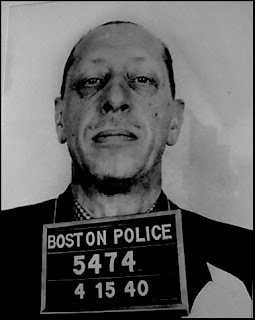 Louis Andriessen and Elmer Schönberger tell the story that Stravinsky was arrested in Boston for an earlier performance. The mug shot at left accompanies the article in their book. The arrangement is lovely, but hardly offensive in any way. Stravinsky no doubt thought of it as a way to show his loyalty to his new country. He was awarded citizenship in 1945. In 1968, a year before Hendrix's performance, Jose Feliciano shocked a crowd at a ball game and on national TV with a rendition in his own, Latin-inflected blues style. His career suffered from the angry censorship of "patriotic" disc jockeys and radio stations. But Hendrix's version was different. It was deliberately provocative, where the others were accidentally so. It understood as a protest. To be more precise, it was aimed at an audience who were generally opposed to the ongoing war in Vietnam. Beyond his target audience, many reacted as they did to Feliciano, assuming that this music meant Hendrix was "un-American." But that's a ludicrous charge that was labeled at every hippie who ever disagreed with The Establishment, as the government and corporate powers were then known. Importantly, Hendrix's rendition is an extremely powerful musical expression all on its own, music that allows for a multifaceted interpretation. Feliciano and Stravinsky created beautiful interpretations of the National Anthem. But Hendrix's was searing, provocative, raw and virtuosic. As a consequence, it will likely be discussed for decades to come, if not centuries. More about the performance itself in an upcoming post. This year marks the 40th anniversary of Woodstock, that messy, joyful and iconic bit of hedonism. I wasn't there. I was too young. But I remember the sensation of it happening, the chatter among family members, the news reports. I have siblings and cousins who wanted to attend and couldn't for one reason or another. Naturally, this year also marks the 40th anniversary of Jimi Hendrix's performance of the National Anthem at Woodstock, one of my favorite moments in rock history. 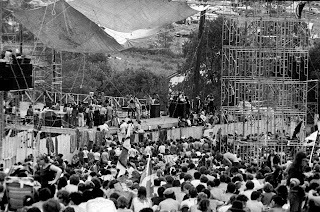 Over the next couple posts, I'll talk about some of these things by turns--Woodstock, the scandalous uses of the National Anthem and the Hendrix performance. But right now, I just want to tell a brief story or two, stemming from the Rock 'n' Roll class I taught for a few years at Middlesex County Arts High. First, the director of school walked into my class to observe and found me skimming through the Woodstock film on my computer to show my students some of the highlight moments--Richie Havens, The Who, Sly and the Family Stone, Jimi Hendrix. The discussion was rock history. After class, the director said to me, "This can't be 'history'! I was there!" In a different class, I mentioned that we would watch the film of the Woodstock festival and one of my students said, "Which one?" The other students, trying to impress me with how much they knew, all nodded, "Yeh, weren't there, like, five Woodstock festivals?" No, I said, trying to be patient. There was one. And there will never be another. You can find the complete schedule for this Saturday's Asbury Park Jazz Festival at the official City of Asbury Park website. Keyboardist Radam Schwartz is a featured performer, a colleague of mine at the Middlesex County Arts High School. He'll be appearing with with the band from his 2005 release on Blue Ark Records, “Conspiracy for Positivity." The festival takes place in Sunset Park on Main Street between 5th & Sunset avenues in Asbury Park and runs from noon to 8 p.m. Should be a fun day if the weather holds up. Ocean County College's Midweek Jazz series hosts boogie-woogie and stride pianist Bob Seeley tonight at Mancini Hall, Ocean County Library, 101 Washington Street, Toms River. If I have my information right, Seeley is currently 80 years old. He looks miraculously vigorous, with a strong left hand that pumps out its own rhythm section. His music is considered "old-timey" and best understood as preserving a tradition. It's still exciting to hear him wail at the keyboard. 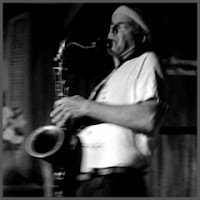 Here's a clip of Seeley playing Chicago Breakdown at the 2008 Templeton Ragtime and Jazz Festival. More clips of him are available on YouTube and elsewhere. The college has been offering $13 advance tickets through the box office, 732-255-0500 and they're still available until the box office closes at 1 p.m. I just called to make sure. Otherwise tickets are $15 at the door. 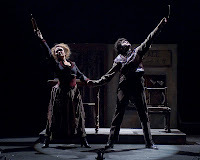 For more information, call the box office before 1 p.m. or visit http://www.ocean.edu/campus/fine_arts_center/index.htm. The college's website isn't the easiest thing to navigate, but the A-Z Site Index and the on-campus "search" window on every page should help if you can't find what you need. 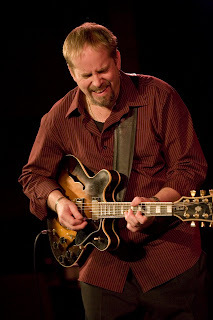 Jazz guitarist Dave Stryker is playing at Cecil's Jazz Club, 364 Valley Road in West Orange, Friday and Saturday this week, 9 to 1:30 p.m. What I know of him is mainly from press releases and his own, very thorough website. But I'm impressed with the recordings that I listened to there. Stryker has about 20 CDs out under his own name, a number of them on the European SteepleChase label. But he's also an distinguished sideman with a lengthy discography that includes Stanley Turrentine, Jack McDuff, and Kevin Mahogany. 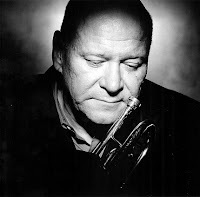 I think the casual jazz listener will find a lot to like in Stryker's mellow intensity and tasteful solos. The more sophisticated will (hopefully) notice a compelling intellect at work, within a style that mixes mainstream and old-school fusion approaches. Stryker was again voted a Rising Star in Downbeat's 2007 Critic's Poll. How established do you have to be to be pushed out of the running for "Rising Star"? What constitutes "rising"? Ah well, since we can find joy in simply listening to Stryker's music, maybe such silly categorizations don't really matter. Here's a hot jam with his organ trio--Bobby Floyd, organ, Jonathan Higgins, drums--excerpted from a 2008 DVD. Jared Gold, organ and Steve Williams, drums. Call Cecil's for more info at (973) 736-4800. In response to my last post about Gary Burton, Bob Terrio at Rider sent me a link to a video of Burton and Chick Corea in "Senor Mouse" from one of their famed duet performances in 1978. It's so hot, I just had to share it. Burton, Bob said, has the "gift of spontaneous composition"--as opposed to relying on familiar patterns. I think you can hear that here. The Count Basie Theatre boasts one of the true jazz legends on its stage tomorrow. Actually, make that two of the true jazz legends. Oh what the heck, make it four. There isn't a mallet player alive who doesn't owe a debt to Gary Burton and his eloquent and sweet vibraphone style. The Gary Burton Quartet Revisited features Burton with quartet's original bassist Steve Swallow and guitarist Pat Metheny, who of course by now also casts his own huge shadow over all of jazz. Pat Metheny Group drummer Antonio Sanchez rounds out the ensemble. You can see and hear a performance of the group in action on YouTube. It's not perfect, but it transports both spirit and mind in a way that few performers can. A quick search on YouTube or Google video turns up a bunch more clips. The concert is 8 p.m. Sunday, June 21, 2009. Tickets are available through the theater box office. June 19th & 20th, the Jazz Arts Project continues its Summer Jazz Cafe with singer Champian Fulton & Trio. Fulton has two CDs out, "Champian" and "Sometimes I'm Happy." This past December she appeared at Jazz Arts Project's second annual "Sinatra Birthday Bash" at the Count Basie Theatre. Tickets are $20, $10 for students. For more information phone 732-345-1400 or check out the Jazz Arts Project website. Looks like Jazz Arts Project might be having some trouble keeping its website updated with fresh press releases, photos, recordings and articles. That's always a problem, particularly for nonprofits. Every website needs to be maintained to generate new interest, but with very little feedback from visitors it can be really hard to justify spending the time filling in all the details. Think of a new shopkeeper: he puts out a sign that advertises his store hours, but during certain times nobody comes. Does he close the store? Absolutely not! At least not until he's had a chance to advertise the change in hours. The same is true with a website: it needs to be current and open for business. Stick to it, even if nobody comes. The one or two people that find your store closed when the sign says you're supposed to be there are never going to come back. Still, I don't mean to condemn any website producers for failing to maintain a site. It can be really hard, particularly when relying on volunteers, and the rewards are not easy to quantify. Meanwhile, some old video clips are still available on the Jazz Arts Project site, including a wild one of stride pianist Tony DeSare playing "Fly Me to the Moon". The best music, like the best food, is often homegrown. "Sounds of the Highlands," a concert of folk, jazz and new music by local professionals and also features dance, celebrates the genius next door 7:30 p.m. tomorrow (Saturday, June 13) at Central Baptist Church, Third and East Highland avenues, Atlantic Highlands. This is the fourth annual installment of this variety event, sponsored by the Atlantic Highlands Art Council. 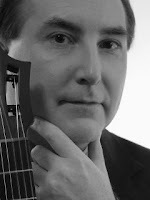 This year's artists include guitarist David Paul Crowton, jazz duo Dan Wilensky and Joe Accurso, classical duo Joel Dewitt and Julia Muench, folk guitarists Carl Alderson, Susan Vosburgh, and Carol Barbieri, classical guitarist Tony Sloan, vocalists Lindsay Stefan Wood and Christie Schwartzman, Core of Fire Dancers and more. Tickets are $15 at the door, $5 for children 12 and under. Advance tickets can be purchased at the Flaky Tart and Bella's Restaurant on First Avenue in Atlantic Highlands, or ordered online at www.atlantichighlandsartcouncil.com. Composer and blogger Christian Carey brought up an interesting article in a Facebook post recently. Kim Gordon of Sonic Youth points out that Radiohead's offer of "name your price" downloads for "In Rainbows" was essentially a brilliant marketing tactic that only a band with such a huge following could employ. Others made a similar point when Trent Rezner self-published "Ghosts I-IV" two years ago. Gordon goes so far as to imply that this strategy is a betrayal of fellow musicians, since it raises expectations for the availability of new music and lowers expectations of price. Most bands, including Sonic Youth, she points out, are really struggling to pay bills and can't afford to bring music to market without earning direct income from it. The idea of giving away highly popular content seems to be limited to recorded media--film and music. In most of the rest of the art world, the content is tied to the medium in which it is created: a visual artist doesn't have an unlimited number of copies of a painting or a sculpture--he has one. When making prints, artists are careful to make only so many, noting each one's unique order in the print run. Then they destroy the plates from which the prints were made, creating a limited number of "originals" that can be priced accordingly. The total number of prints made this way (10? 50? 100? 1,000?) is purely arbitrary, a marketing decision that, combined with other factors like the celebrity of the artist, drives the price point for each print. Nothing like that exists in popular recorded media. With the advent of digital technology, the media has become cheap and irrelevant, allowing sellers to price the product any way they want. Some of them, particularly in the world of DVDs, have chosen the standard capitalist model: the greater demand, the lower the price. Consider this: If Radiohead were to follow the art world model, they would make a single, limited edition, high-priced product. Those who couldn't afford it would be encouraged to buy work of lesser known (and cheaper) artists, thus fueling the growth of the market. They could still hear Radiohead in concert, or on the radio, but they couldn't necessarily own a Radiohead recording. This model clearly doesn't work in popular music. Pop music lives and dies on its appeal to the everyman. Even for Radiohead, it's very easy to alienate your audience with an ill-considered marketing strategy. Alienate your audience and suddenly you've got nothing. 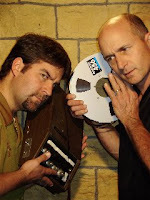 When Rezner self-published "Ghosts," he used a tiered system, selling a limited edition vinyl box set at the high end and cheap downloads on the low end, with various packages, including a standard CD, in between. As a teaser, a way to cement his relationship with his audience and a way to grow his audience, he offered the first nine individual track downloads free of charge. My guess is that elaborately tiered systems like Rezner's, which build on well-established marketing practices, will come to be the new industry model, with "free" as the entry level price point. But this model doesn't appear to address Gordon's main gripe: With bands like Radiohead giving music away for free, who's going to plunk down $12 for a Sonic Youth CD? Was Radiohead's offer a betrayal? This is admittedly a difficult issue. Very big acts do have a responsibility to encourage the prosperity of lesser-known bands and help introduce them to new audiences. And very often they do, through production work, joint tours and recording projects. Could they also do so through their product pricing? Eh … probably not. The pop music world is fickle and the risk that a new album will fail is just as great for a monster act as it is for a club band--even greater perhaps, as big name bands tend to invest more in a product and employ a lot more people. Gordon was certainly right about one thing: Radiohead's strategy was an effective stunt. For any band to follow that model exclusively, it would need consistent access to a huge potential audience, many of whom would be happy to take the music for free. Even Radiohead wasn't ready to make that commitment. It helps to remember that the band's decision to release it's "In Rainbows" as a "pay what you want" scheme was followed relatively quickly by the establishment of a regular price-point, matching the industry standard. And they made a killing. Eventually, all recording artists will have to come to terms with the Rezner model, to the degree that they are able. Whether they self-publish or not, they'll need to offer a few tracks free--maybe even only one--to generate interest and bond with their audiences. The rest will have to be priced at the industry standard--the same standard that applies to the biggest stars out there. Creating higher-priced versions of the same recordings offers a way to increase return on investment while rewarding a die-hard fan base. Meanwhile, audiences are already becoming intuitively aware that only the very popular bands and hobbyists can afford to give away all of their music. The bright side is that once they have learned their lessons from Radiohead, Rezner and others, record labels should be a lot leaner and a lot more inclined to support the artists they represent. Where they are not, self-publishing and self-promotion are viable options. In either case, the artists will likely be called on to invest more in return for greater control and greater potential for profit. I'm playing tomorrow night (Wednesday night, June 3) at Joe's Mill Hill Saloon, in the basement pub. 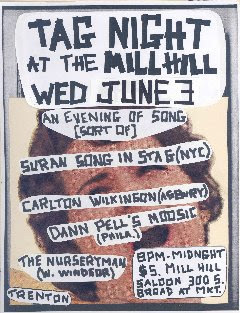 I wrote last month about Wilbo Wright's experimental music series there, TAG Night. So tomorrow I'll be one of the performers. I recently completed work on a CD, to be titled "Three Rooms", that has an opening and closing sound collage and seven new songs in between. Except for a handful of backing vocals, the music is all performed by me, mostly on my Knabe piano, with inside-the-piano work and some other natural and electronic effects to give it variety. I also do the lead vocals and play flute, guitar, hand percussion, marimba and synthesizer. So I'll be trying out a few of those songs along with a couple improvs tomorrow at TAG Night. A second CD, of piano music, will be coming out soon as well and I'll probably throw in a couple of those pieces. The Nurseryman (West Windsor), one of Wilbo's solo incarnations. Suron Song in Stag was slated by has the flu (for crying out loud!) and had to cancel.